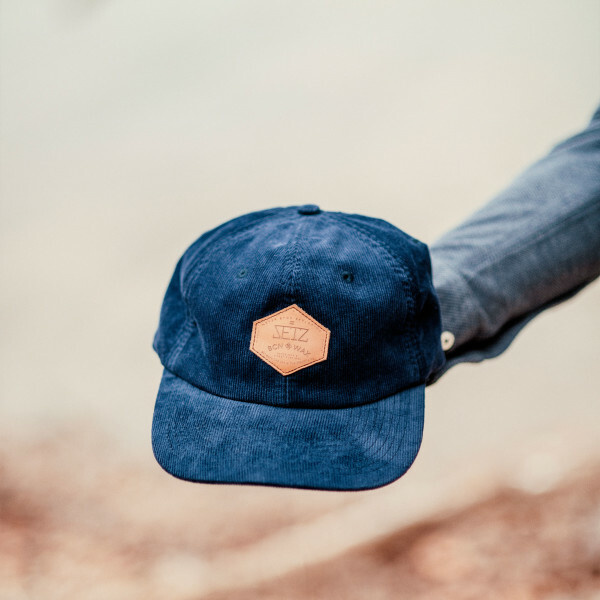 Constructed with a crown of 6 panels of low profile in a luxurious cotton corduroy. The cap features a premium leather patch with the laser-engraved collaboration logo on the front, a flat-curved visor, embroidered buttonholes for ventilation and an adjustable fabric strap closure with metal closure for a custom fit . It consists of a SZ label woven on the back. It is a clean and elegant piece to complete your collection of accessories.